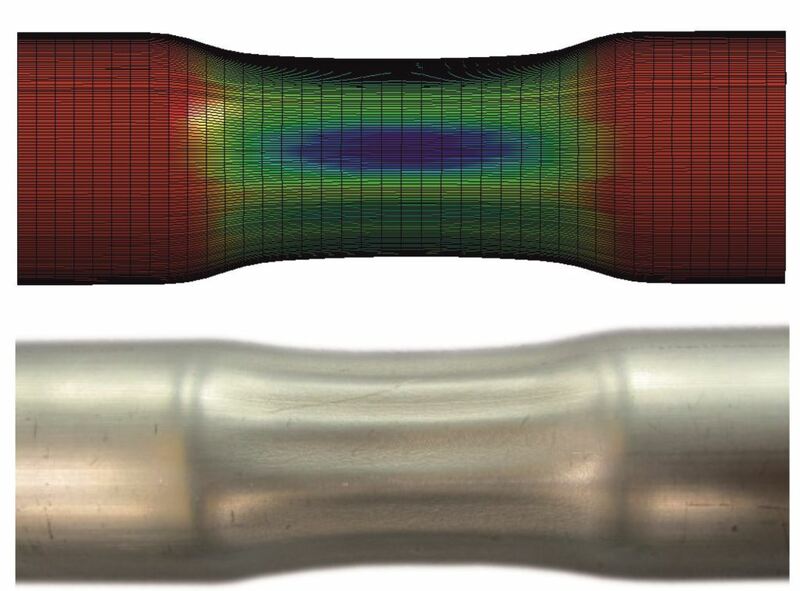 As was announced by the IUL during the last I²FG plenary meeting in Nantes, December 2016, we would now like to invite you to participate in the electromagnetic tube compression modelling benchmark 2017. The results will be shown and discussed at the next I²FG event at the end of the year (details available here). For this, the measured final tube geometry and PDV-measurements of the workpiece displacement over time will be used as reference. For the benchmark to be consistent and fair with regard to judging the results, all participants are asked to use this Excel Sheet for entering their modelling results. The filled sheets should be sent to the group’s office (office@i2fg.org) until October 31. At the next I²FG meeting/event, which will be held on November 28 and 29, 2017, in Berlin with the iwf as the host (details available here), the IUL will present the overall benchmark result. Nevertheless, participants will also be given the opportunity there to briefly present their individual modelling approaches in more depth. In case of further questions please do not hesitate to contact the group’s office. We are looking forward to seeing you in Berlin.